"One Week" is a short comedy, starring Buster Keaton and featuring Joe Roberts, a star of Silent Hall of Fame. This is the first film released by Buster Keaton after he started his own career following his apprenticeship with Roscoe Arbuckle. And what a beginning it was! "One Week" was added to the National Film Registry in 2008 as being deemed "culturally, historically, or aesthetically significant". The film enjoys an outstanding rating in IMDB. 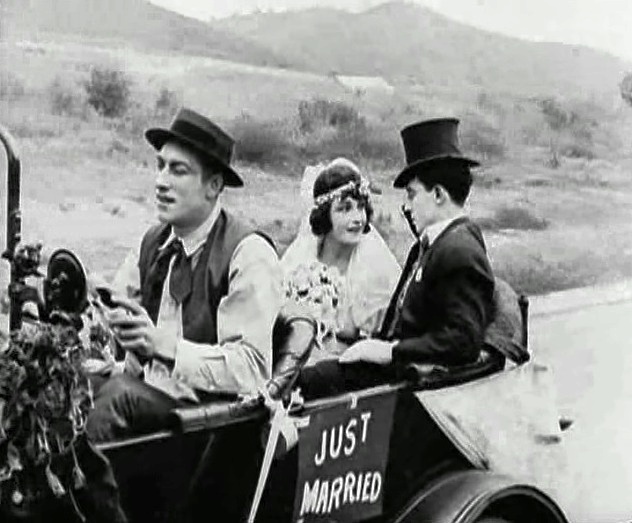 Buster Keaton and Sybil Seely take a "just married" ride in "One Week" (1920). 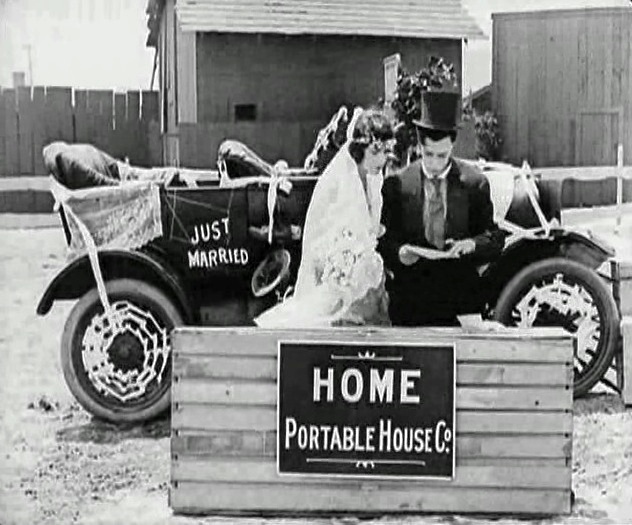 Buster Keaton and Sybil Seely get a build-it-yourself house as a wedding gift in "One Week" (1920). 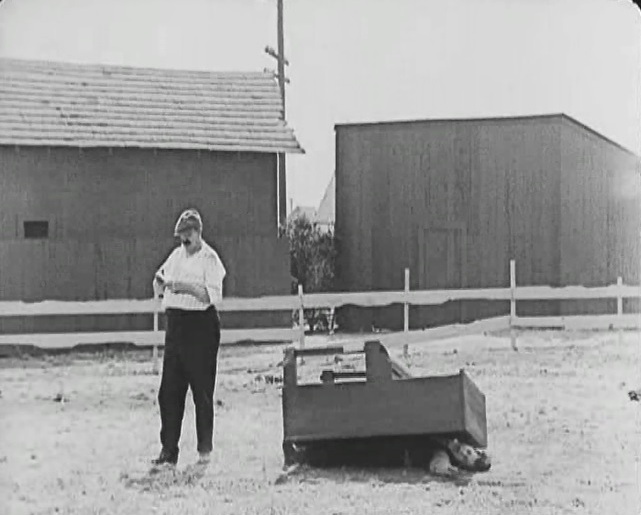 Buster Keaton and Sybil Seely work on the build-it-yourself house in "One Week" (1920). Buster Keaton tells Sybil Seely "I'll be right down" in "One Week" (1920). The guy Sybil Seely rejected messes up the box numbers in "One Week" (1920). 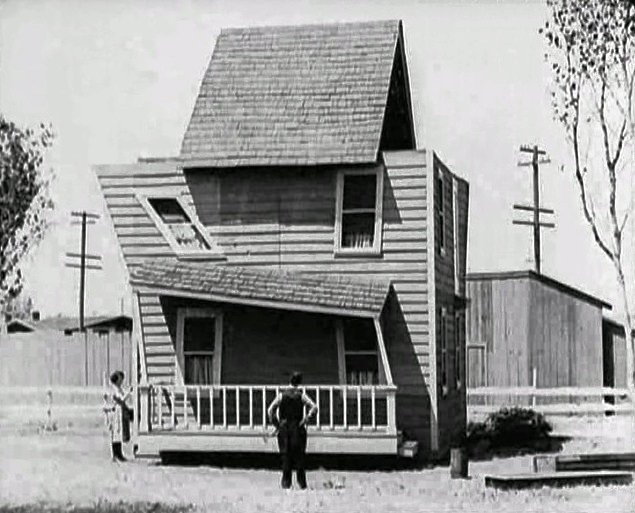 Buster Keaton and Sybil Seely's house is a little out of whack in "One Week" (1920). 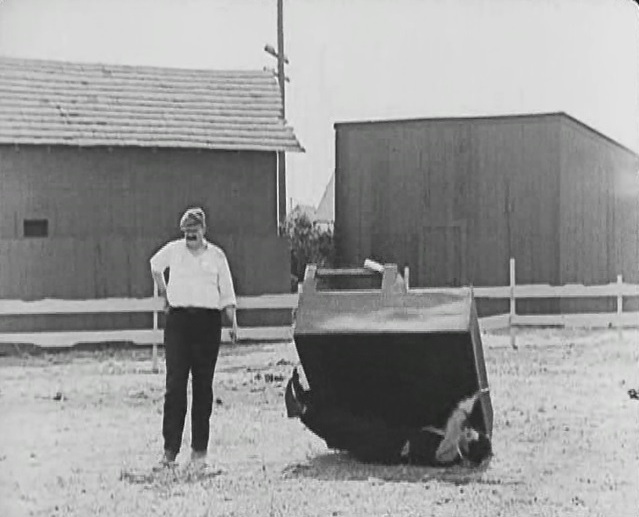 Buster Keaton and Sybil Seely put some finishing touches on their house in "One Week" (1920). Joe Roberts brings the piano in "One Week" (1920). 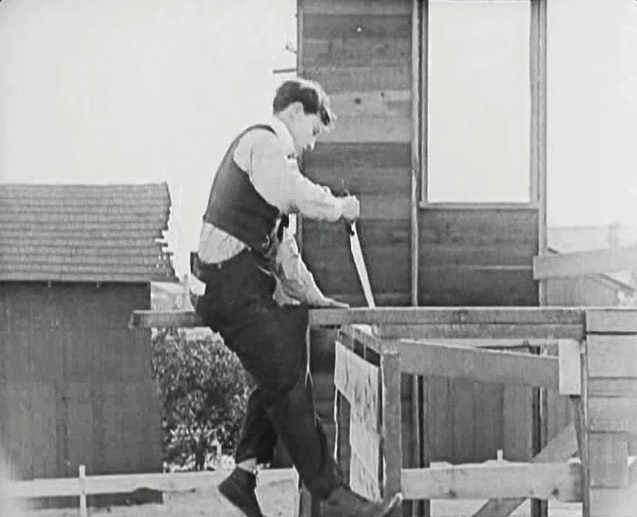 Joe Roberts lets Buster Keaton have the piano in "One Week" (1920). 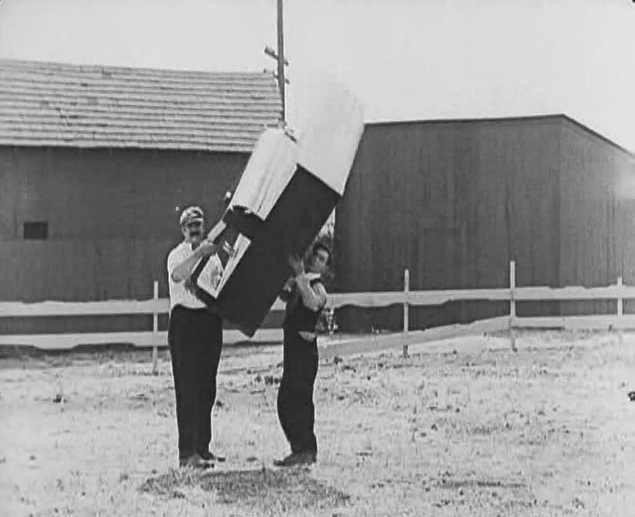 Joe Roberts lets Buster Keaton have the piano, but he can't hold it in "One Week" (1920). 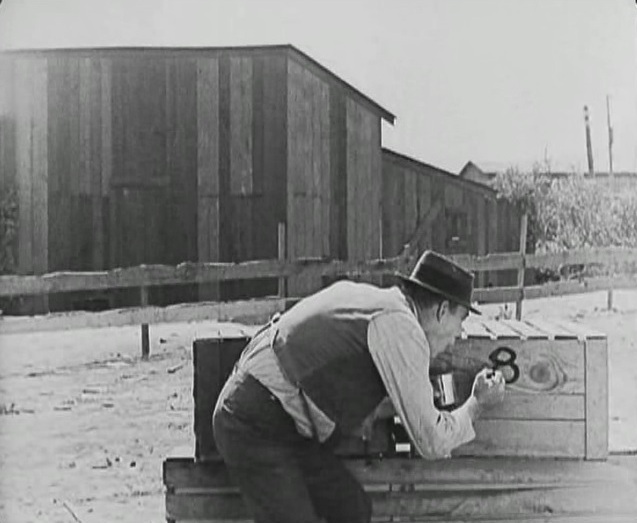 Joe Roberts looks at paperwork as Buster Keaton is crushed under the piano in "One Week" (1920). Joe Roberts lets Buster Keaton sign for the piano in "One Week" (1920). 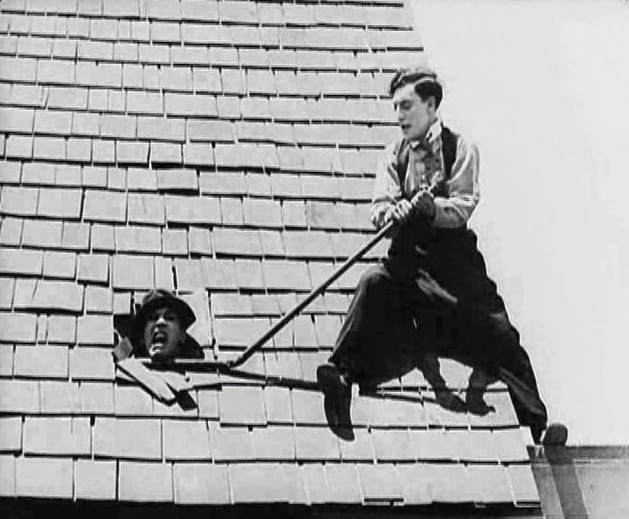 Buster Keaton helps the bad guy from his predicament in "One Week" (1920). 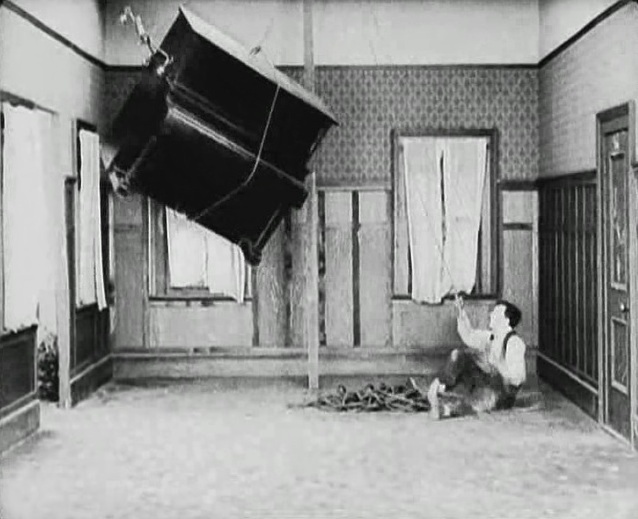 Buster Keaton installs the piano in the living room in "One Week" (1920). 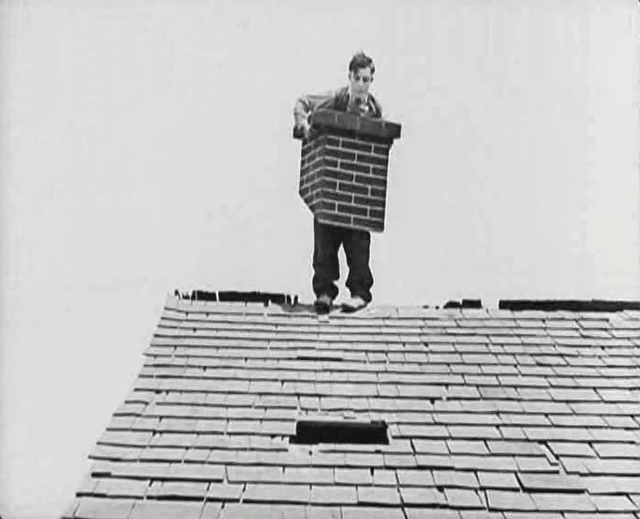 Buster Keaton is about to install the chimney in "One Week" (1920). 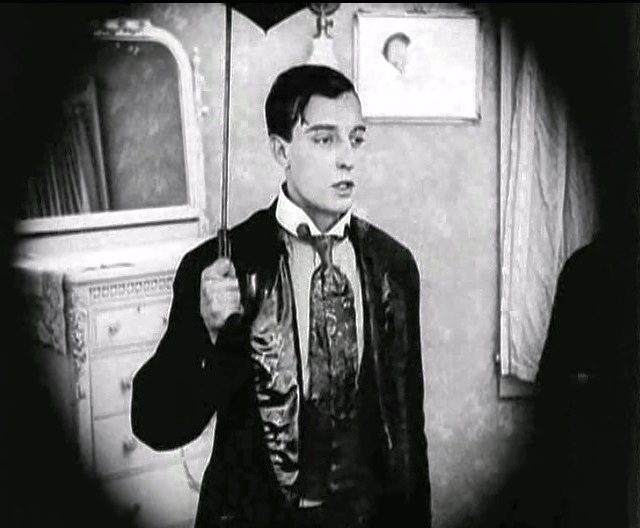 Buster Keaton holds an umbrella as rain pours inside the house in "One Week" (1920). 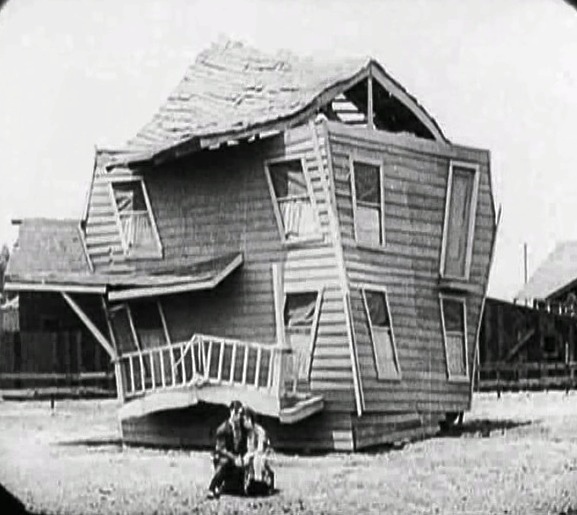 Buster Keaton tries to stop the house from spinning in "One Week" (1920). 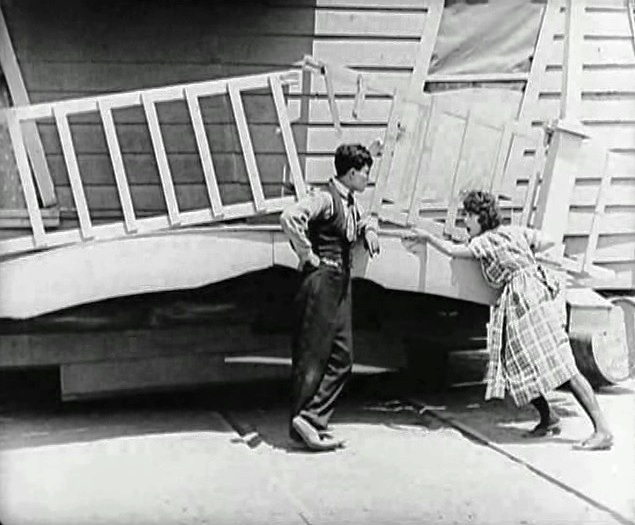 Buster Keaton and Sybil Seely take a break from fighting with the house in "One Week" (1920). Buster Keaton and Sybil Seely have a quiet moment in the rain in "One Week" (1920). 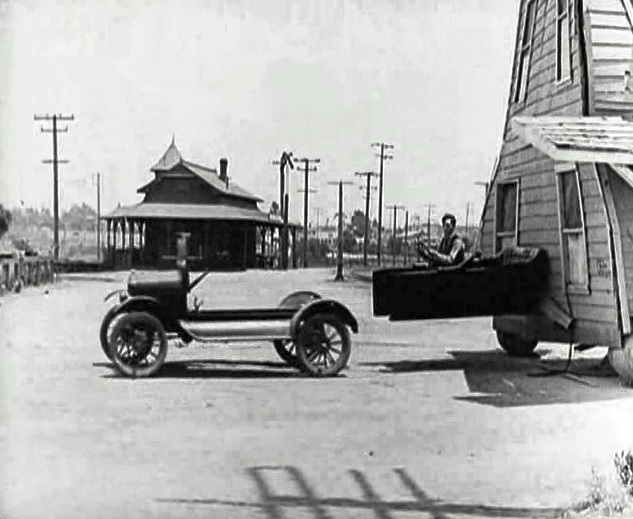 Buster Keaton and Sybil Seely sit in front if their unique house in "One Week" (1920). 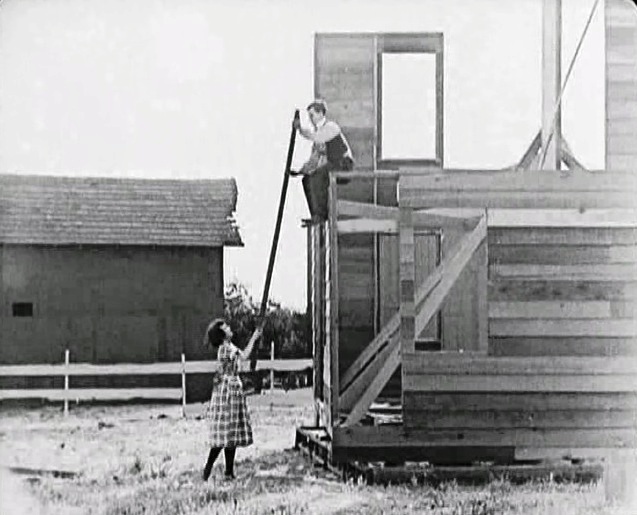 Buster Keaton and Sybil Seely discuss the house in "One Week" (1920). 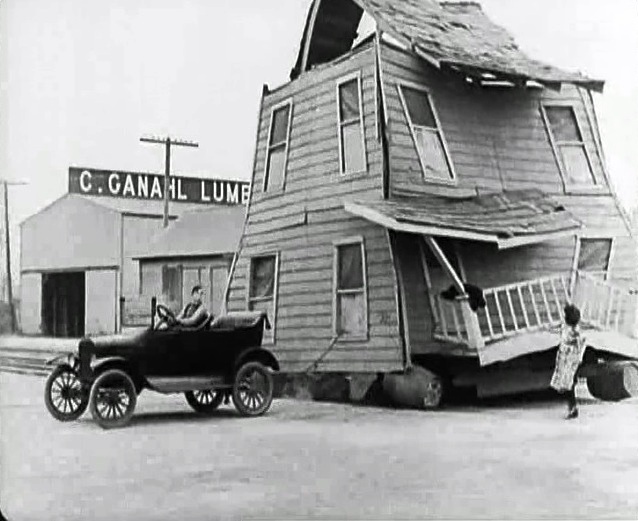 Buster Keaton and Sybil Seely move the house to the right lot in "One Week" (1920). 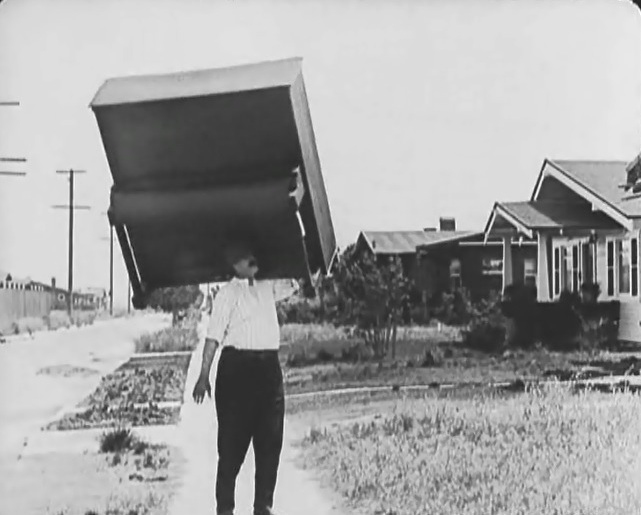 Buster Keaton and Sybil Seely move the house in "One Week" (1920). 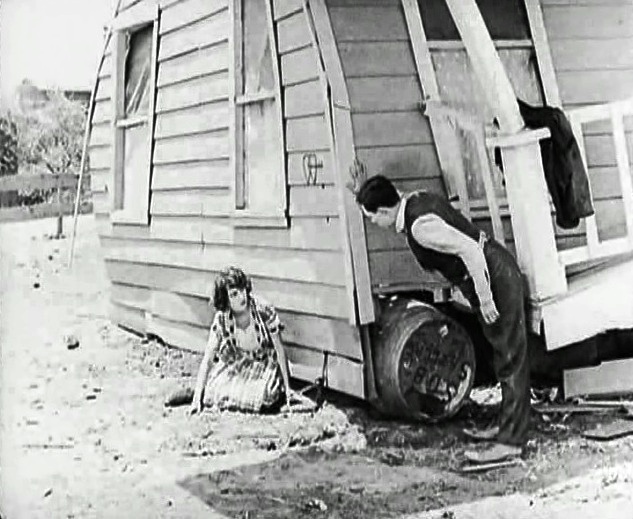 Buster Keaton and Sybil Seely won't leave the house on the wrong lot in "One Week" (1920). 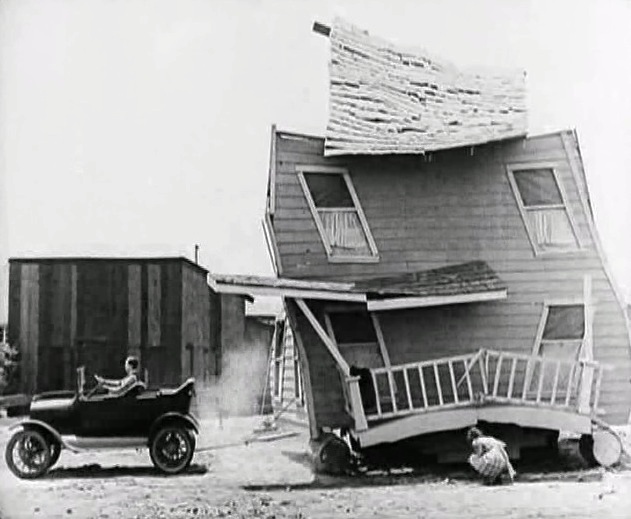 Buster Keaton's house rebels against being dragged by a car in "One Week" (1920). 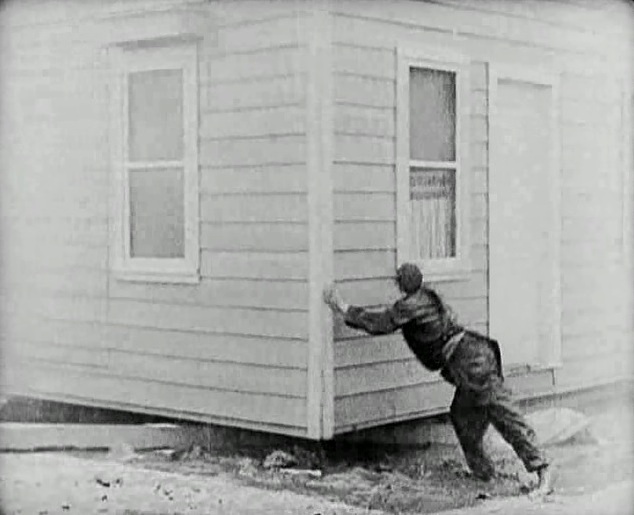 Buster Keaton looks on as Sybil Seely pushes the house in "One Week" (1920). 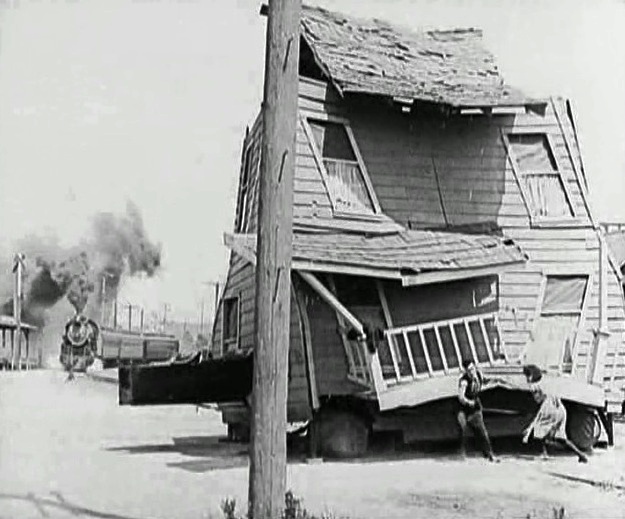 Buster Keaton and Sybil Seely try to save the house from the coming train in "One Week" (1920). Buster Keaton and Sybil Seely wait for the coming train in "One Week" (1920). 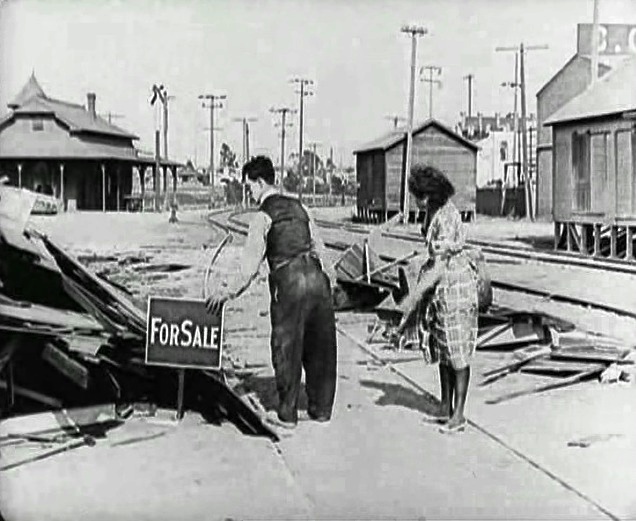 Buster Keaton and Sybil Seely leave after the second train didn't miss in "One Week" (1920).